In the Rand District News , on 7 June 1922 , an advertisement appeared in the Rand District News for the Osdick Garage. Pete Osdick havingbeen on the ground floor of this strike evidently made a bit of money and opened a garage. 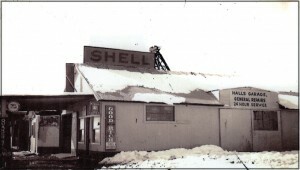 When the town of Osdick burnt down in 1922 all of the contents of Pete’s garage were emptied from the building by his neighbors before the fire could reach it. However as reported in the Bakersfield Californian a fire in February of 1924 totally destroyed the garage and 14 automobiles and trucks which were in the garage. One of the cars was a new Buick and another a new Dodge, the other 12 were used cars. In addition it was reported that $95 that had been hidden in one of the vehicles was lost in the fire.